Simmba's release wrapped up an already-great year for Ranveer Singh in a high note. Where all the superstars delivered disappointing films, emerging stars like Singh shined bright. With Simmba, director Rohit Shetty delivered his eighth consecutive hit becoming the only director to have so many Rs 100-crore movies in his kitty. 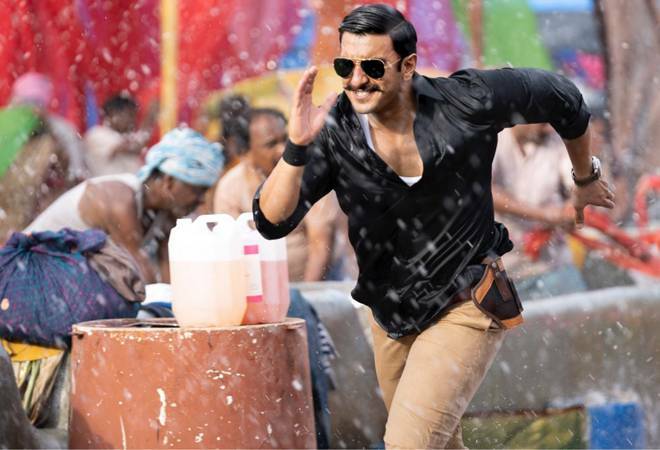 While Simmba retold a cliched story of a corrupt cop taking a righteous path after a personal loss, audiences seemed to have given their nod of approval to the Rohit Shetty movie. In fact, Simmba became the highest opener for Ranveer Singh after it made Rs 20.72 crore on Day 1, surpassing the first day collection of his biggest hit till date, Padmaavat. The movie gradually picked up pace and made Rs 196.80 crore in 11 days. Simmba made Rs 6.03 crore on Tuesday taking the total collection to Rs 202.83 crore. According to trade analyst Taran Adarsh, Simmba's collections trends indicate that it won't slow down anytime soon. Simmba had made Rs 50 crore on Day 3, Rs 100 crore on Day 5, Rs 150 crore on Day 7, Rs 175 crore on Day 10 and Rs 200 crore on Day 12. Simmba's run, however, is expected to slow down as Vicky Kaushal's Uri and Anupam Kher's controversial The Accidental Prime Minister are scheduled to release this week. Riding high on the success of Simmba's success, Ranveer Singh is already gearing up for his upcoming movie, Gully Boy, co-starring Alia Bhatt. Singh also took to Instagram to share the latest cover for Tinkle Comics where the actor has been immortalised with characters like Shikari Shambu, Suppandi and Tantri the Mantri. "I have to pinch myself to see if I'm dreaming. This is one of the fondest memories from my childhood. I grew up reading Tinkle Comics. Can't believe I'm on the cover with SUPPANDI AND SHIKARI SHAMBU!!!!!!!!!!!!!!!!!!!! I mean ....... I can't even ..........," the actor posted. Simmba also stars Sara Ali Khan as the female lead. Khan's previous movie, Kedarnath, has also performed rather well in the box office. Simmba stars Sonu Sood, Ashutosh Rana, Sulbha Arya, Ashwini Kalsekar, Sarita Joshi and Siddharth Jadav along with the lead actors. Ajay Devgn, Arshad Warsi, Shreyas Talpade, Tusshar Kapoor and Kunal Khemu appear in cameo roles.